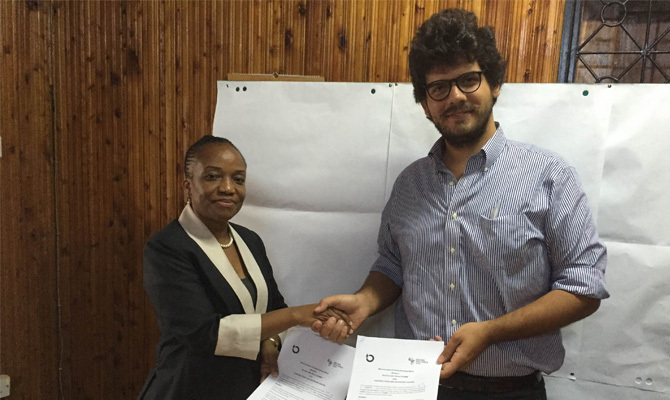 On 23rd March, it was signed in Dar es Salaam the first Memorandum of Understanding between Doctors with Africa CUAMM and the Tanzania Food and Nutrition Center (TFNC): an important commitment to improve the common efforts to fight malnutrition in Tanzania. Giuseppe Valerio, CUAMM’s country manager in Tanzania, met Dr. Joyceline Kaganda, TFNC’s managing director, to share the aim to achieve sustained food and nutrition security, good nutrition and health for all, particularly women and children: an important target for both the organizations, to be reached within the framework of a new long-lasting collaboration. According to the document, CUAMM and TFNC commit to collaborate at the best of their capacities to contribute to the expansion of the National Nutrition Strategy. This important goal will be reached by implementing life-saving stunting reduction activities, and by strengthening services for the management of Severe Acute Malnutrition (SAM) at level of Health Facilities and among local communities, as well as by improving the referral system of emergency cases from the communities to the Health System.